Begin your research on National Security Law with these prominent treatises and study aids. 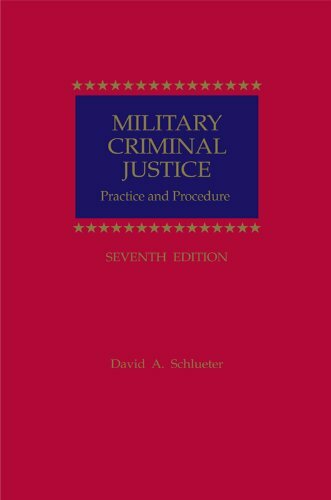 This study aid is a succinct summary of military law, and includes recent changes to laws such as the Uniform Code of Military Justice. National Security Law: Principles & Policy by Geoffrey Corn et al. National Security Law is a guide to the legal foundations that support key national security powers: diplomatic, intelligence, military, economic, and criminal. Essential sources included are constitutional text, judicial opinions, statutes, and policies. Definitive resource that covers both substantive and procedural aspects of the law. This work provides explanation and background of major federal statutes, regulations and Executive Orders related to homeland security. The full text of relevant statutes and regulations are included, as well as an ALR bibliography and a table of laws and rules keyed to the book's chapters. This treatise aids understanding of national security investigations by exploring the historical traditions and governmental structures that influence them. It explains the federal government's power, describes investigative tools, provides guidance for possible civil and criminal liability actions involving electronic surveillance, and covers laws that apply and issues that arise in national security investigations.